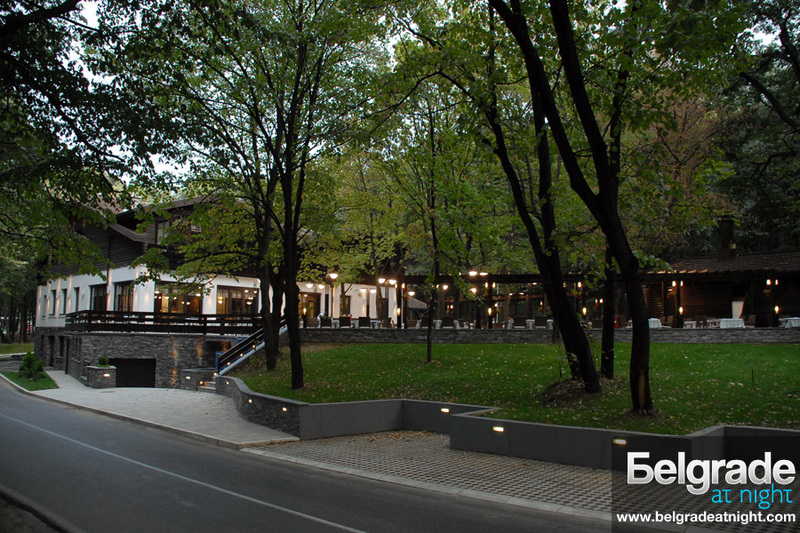 The restaurant Devetka is located at the hearth of the Košutnjak park-forest, in the sea of verdure or snowy whiteness and in the peace of centenarian conifers. Like a castle in the wood, the restaurant offers, on it’s three levels, four catering contents of four-stars quality; those are: national “old town” cuisine – meat and vegetables from “under the lead” (“ispod sača”), bread from a bricked oven, old Serbian meals and monastery delicacies, grilled meat, steaks and chops; and international – of all the major world cuisines. Along this big selection of food, in the restaurant Devetka you may find the best wines of domestic and world’s most famous wineries. All guests are greeted and brought to their tables by the hostess, after which they’ll be taken over, placed by and helped in choosing their courses and drinks by highly skilled and specially educated chefs and waiters. And last, but not least, this offer is completed with a musical program, even folklore if needed.